Welcome to Steward Arbor Care Company a leading provider of arborist services. We help local residents and business owners combat tree disease and assist with tree care projects. Our team of arbor care experts have extensive experience in tree knowledge and are certified by the ISA -International Society of Arboriculture of Texas and have their TDA pest applicators licensing. When is come to tree education or planning your next tree project on your property contract a professional tree company. Steward Arbor Care Company has the top of line arborist pros that have dealt with any tree you can ever think of known to man but they know all loopholes and how to properly removal branches, limbs, and much more! 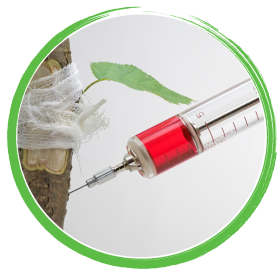 Our tree injections are one of the many services we provide tree care work. We have professional arborist with 25+ years of experience in hand with nothing but excellence in hand. Steward Arbor Care Company has been servicing DFW. Where we are locally owned and operated and have well-rounded experience with all types tree species. 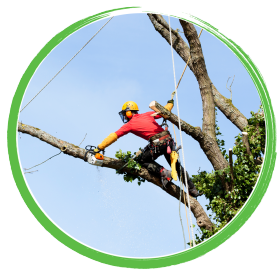 Are arbor care team consist of 3 state certified arborist and a full line of tree care services equipped with bucket trucks, wood chippers and a staff that has the knowledge base to get any job done on your property. We are fully insured and bonded for your protection so you’re covered for that moment we step on your property. Our in-house arborists know how to diagnose all types of tree diseases and help you make the proper decision within your budget, so your landscape is healthy year round. We also have some of the best tree climbers keeping your yard protected from heavy equipment like bucket trucks. If you’re looking for a safe treat removal service or some of the best tree surgeons in the industry in DFW give us a call today. Reasons why to choose Steward Arbor Care Company? In our tree services we provide you with many different services. Our company is very well experienced in this industry and highly successful in doing it like we said previously we are like “the Arbor care of the land”! Here are some prime examples of what we have to offer you. Steward Arbor Care Company is one of the leading providers in DFW for all your tree care needs. We specialize in tree trimming, tree removal, tree health and tips, tree planting, stump grinding, arbor care, and good informative education on how to manage and take care of your tree. Another matter that is highly important to know and be well informed about is tree pruning for the simple fact you need to know what it looks and how it should be done properly. Many arborist have a misconception and understanding of how to properly prune a tree for instance, our arborist have well over 25+ years in the industry and they are state certified so they know what procedures to take and do to make this job successful and our clients happy. A protocol and standard that we must follow up when pruning or trimming a tree is called the ANSI A300 standard it is the only way to properly prune a tree without damaging the health of the actual tree itself. Its important that this is done correctly for a number of reasons. Our professionals keep up to date and make sure that they are well informed about this to keep you, your trees and our company nourishing without a problem. It is our intentions to make this as easy and simple for you so you will not get any trouble. We take great big pride in doing this and especially when we do the correct job for you. Something that goes hand in hand with tree pruning, trimming and removal is stump grinding. That is one thing that we as a company take extreme precaution for a number of reasons because the actual process of stump grinding is a bit more difficult than most of the other tree services that we provide.